Isn’t it Time to Trade In Your Used Apple TV 4th Generation? Step 3: Will you include the power cord? When you got your Apple TV 4th Generation as a gift, you were delighted with the novelty of streaming media through a digital player. Alas, other companies have now jumped on the bandwagon, and suddenly, you may feel your Apple TV is no longer your cup of tea. Should you just throw it away? Forsooth!! It’s like throwing a heap of bills into the river! Instead, you could trade in your outmoded console to help offset the cost of a more advanced Android media player, or just enjoy some fast cash on your own personal payday. To us, it sounds like a no-brainer, and we would be overjoyed to take it off your hands! Are you afraid your Apple TV is so far gone that we might reject it? That’s never happened yet! At iGotOffer.com, we’re Apple experts, and we appreciate every Apple’s value. So if you’ve decided to take the plunge, the hard part is over. Break out your teddy bear and put up your feet, because we believe in catering to your comfort! You’ll get an automatic quote, and if it sounds good, we’ll email you a prepaid shipping label to send us your console. In fact, shipping and full insurance are free throughout the process, and you’ll feel warm and fuzzy knowing your electronics are always safe with us. When we receive your Apple TV 4th Generation, we’ll assess its condition and issue a final offer. Should you accept, you’ll get paid faster than a speeding bullet; if not, your Apple TV will be homeward bound. Like Apple, we’re accurate in every detail, and we also believe our customers should bear zero financial risk. 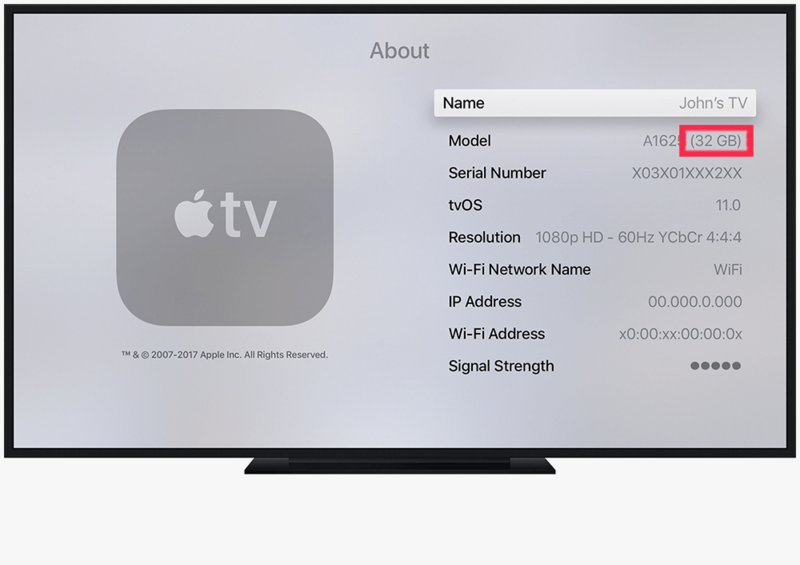 If you’re not sure if your console is indeed an Apple TV 4th generation, you can refer to this table for help: How to Identify Apple TV 4. Trade in Apple TV 4th Generation for Top Dollar Today! Maybe you’ve known that creepy feeling of answering a classified ad and not knowing if some weirdo is behind it. Alternatively, you could go with a large retailer and get lost in the shuffle. Why risk it? With iGotOffer.com, you know you’re dealing with a fully licensed, well-established firm with excellent customer ratings. We’re a proud woman-owned company that operates by ethical practices and continues to grow. Our reputation for customer service is unparalleled in the industry: we’re very accessible and are always eager to assist you—you never feel like a number! Getting paid is hassle free, as well: We can pay you via PayPal, Chase QuickPay, Amazon gift card, or by check, typically in 1-2 business days after we receive your device. Reselling your electronics should always be this easy! Don’t take our word for it! Check out our superior ratings on websites like the Better Business Bureau, ResellerRatings.com, and especially our own Testimonials page, where we welcome customer feedback and value your input about ways to improve our service. Visit us on Facebook, Twitter, and Instagram, and you’ll see why we have so many return customers and referrals due to word of mouth! Of course, be sure to follow our Blog and read Apple Encyclopedia, Microsoft Encyclopedia, and iReflexions on our website, where you’ll find the mother lode of the latest-breaking tech news and articles. To easily access the pages and links above mentioned, read this: What's iGotOffer. When you send us your Apple TV 4th Generation, it’s very important that you pack it with the greatest of care. Please refer to our detailed shipping instructions: Shipment Guidelines. From the Apple TV Home screen, choose Settings > General > About. You'll find the size of your storage capacity in the following window.